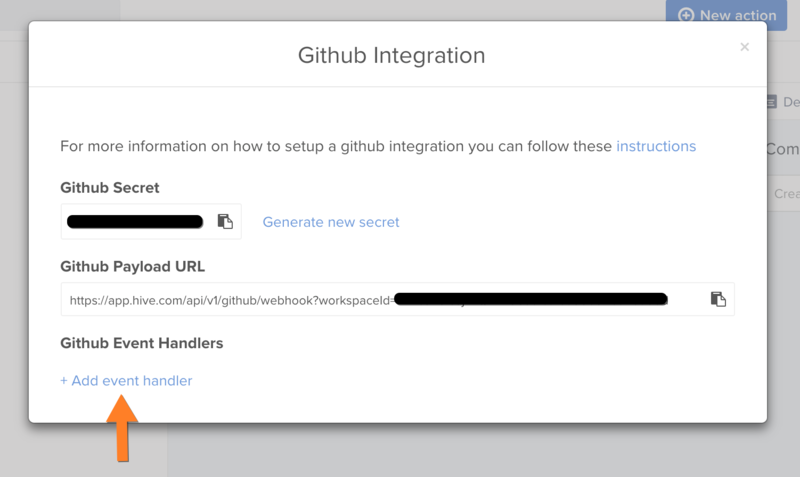 The Github integration removes the barrier of manually updating information from Github to Hive. 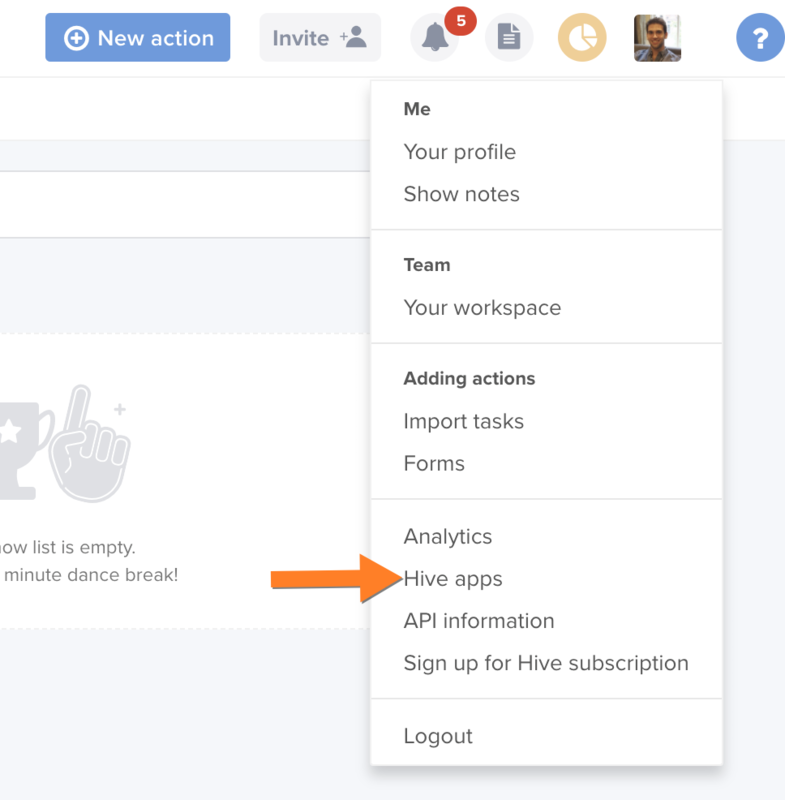 With this integration, Hive Actions can be associated with Github Branches and automatically capture branch activity. 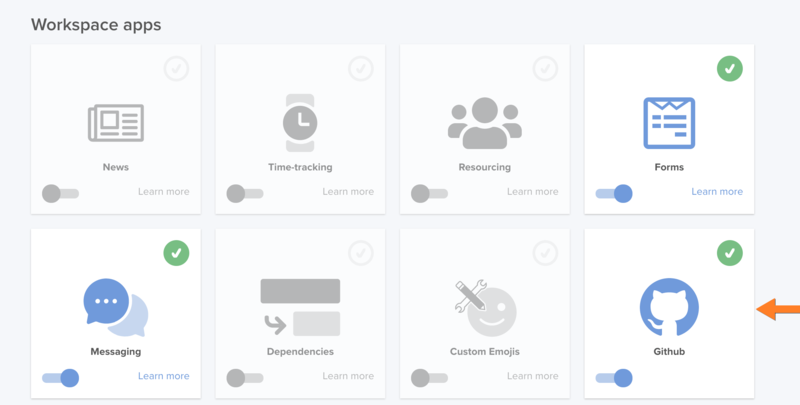 Your team can quickly view and jump to commits, pull requests, and branches from Hive. 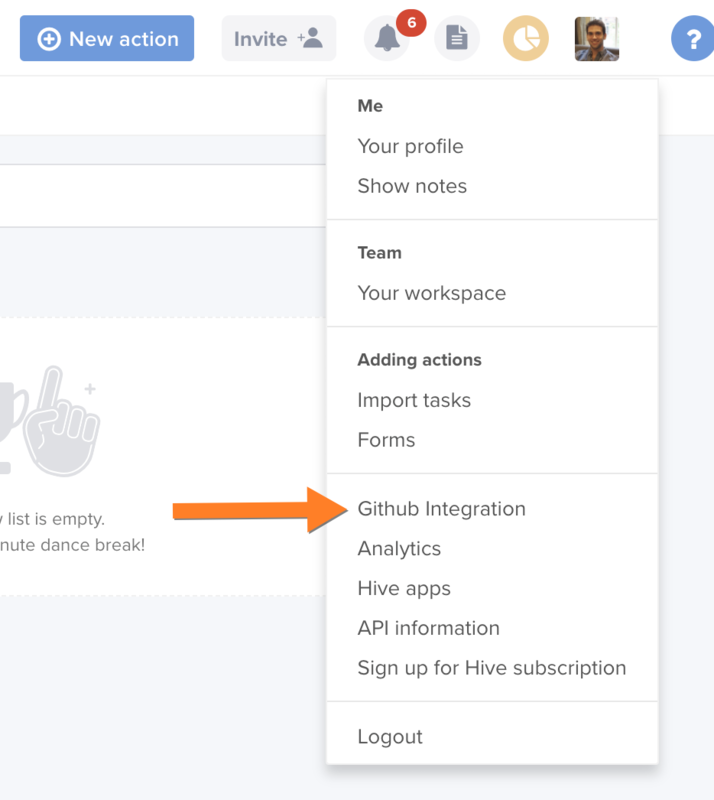 Once Github is enabled from the Hive Apps menu, a new menu option for managing the integration will appear in the main menu. 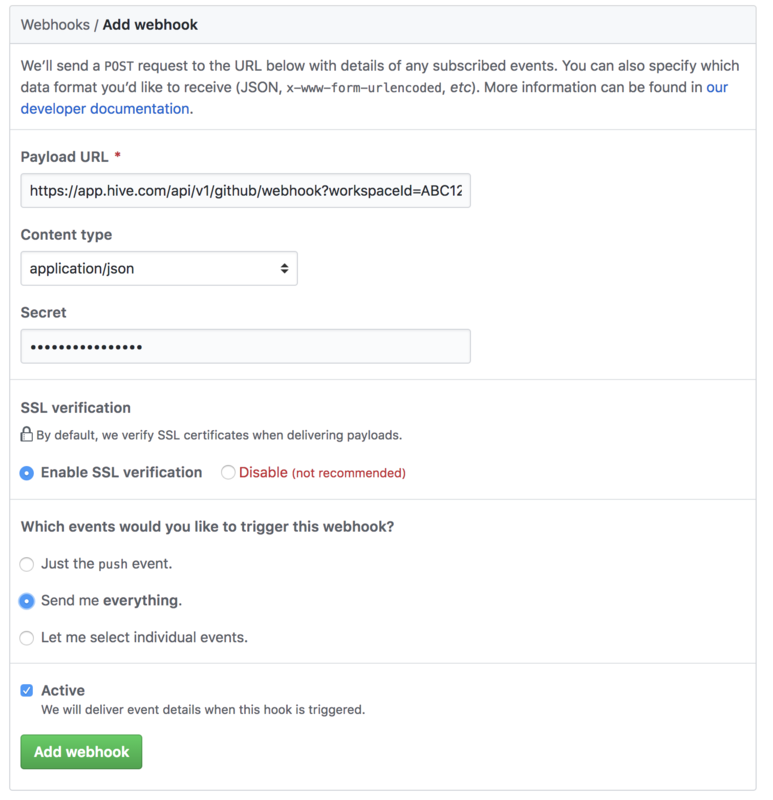 Finally, select the "Send me everything" option and add the webhook. Once Hive catches activity on the branch, this area will populate with that activity and provide quick links to it. You'll also have quick links to view the branch or pull request on Github from here. 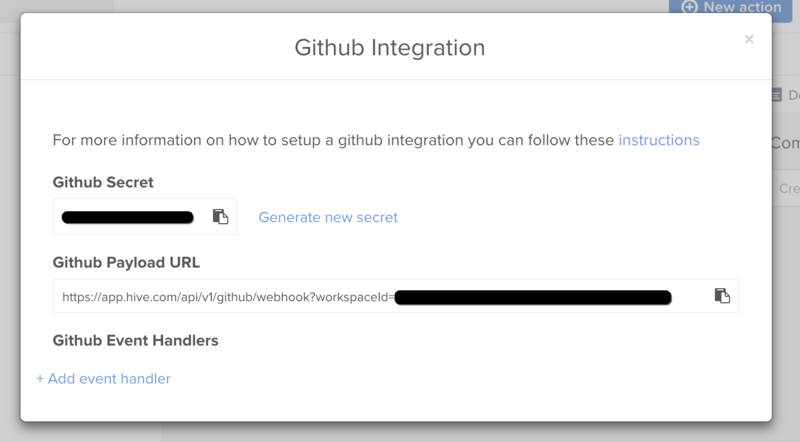 One of the primary benefits of the integration is the ability to automatically update Hive Action statuses on events like pull request open, close, and merge. For example, if your team's workflow involves peer code review, you can set up a "Ready for Review" status. 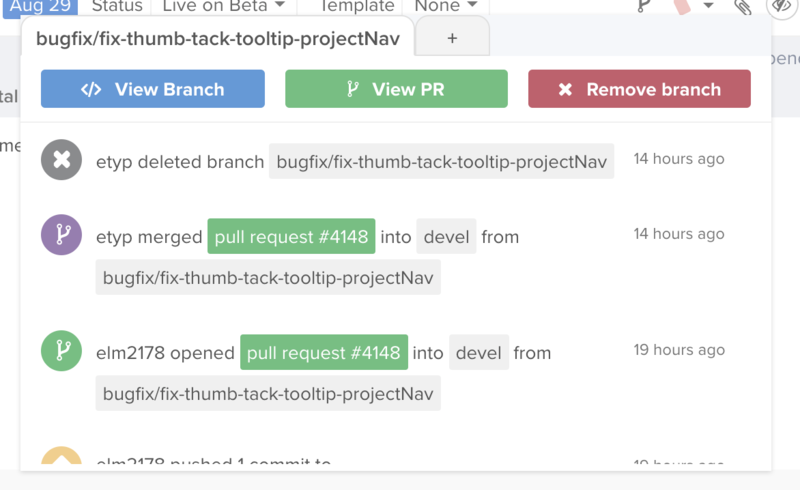 Hive will automate this by setting up a Github Event Handler so that on Pull Request Open, the action associated with the pull request branch is moved to the status automatically. From here you can select the event you want to listen to. In this case we'll select "When a pull request is opened". Once we save the event handler, you should see action status updates happen automatically when pull requests are opened.